My skin type is combined. But during the winter my skin is always much dryer. So during the winter period my skin needs a good moisturizer! 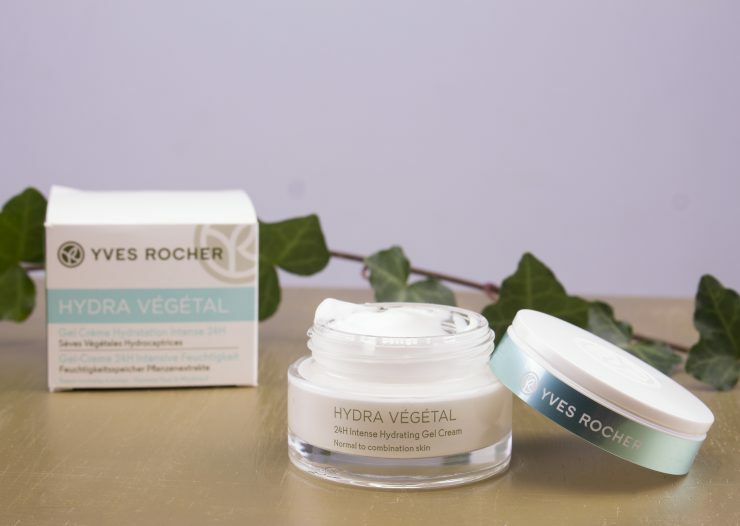 I tried a lot of creams but this time I’m testing out the hydra végétal from Yves Rocher. This is a 24h intense moisturizer gelcream that moisturizer and recover the skin. This cream is perfect for a normal or combined skin type! In this cream there are no parabens, mineral oil and pigment inside. What is well inside are like example maple juice and blue agave. This ensures a bright and firmer skin. The cream promise to moisturize the skin for 24h. You can use this cream in the morning and evening. I prefer to use it only in the morning. The cream indeed has a bit a gelly structure. But I think that it feels more like a cream. This cream feels light and doesn’t feel sticky or anything! It smells a bit fresh. But the only thing that I hate about this day cream is that the cream is inside a big jar. It looks pretty but I don’t like that I always have a pick some day cream out with my finger. It’s not so hygienic. The most important is of course how good is this cream? I’m trying this one out from the around end summer. But than this cream was not that ideal for my skin and made it greasier. But as it became colder and colder this cream was my saver in need! It’s for sure a good cream, this one moisture my skin and made it softer! For my skin type is this the perfect cream during the winter! Because then I always have irritating dry spots… But thanks to this cream I luckily don’t have those dry spots any longer! So if you have a normal/combined skin type that can use some hydratation that is this a must! But if you skin type is more dry or greasy I won’t recommend this one. ik heb nog nooit een gel cream geprobeerd maar je hebt me zeker nieuwsgierig gemaakt! Een gel crème lijkt mij ook wel fijn. Ik heb dat ook met sommige crèmes, dan denk ik dat ze eigenlijk te rijk zijn en nu het kouder is vind ik het heerlijk om ze te gebruiken, alsof ze mijn huid dan extra beschermen. Leuk om weer eens wat van Yves Rocher te lezen, toch een merk die ook mijn interesse heeft! Ja klopt die zijn nu met de koud inderdaad perfect! Wauw dit ziet er heel goed uit!